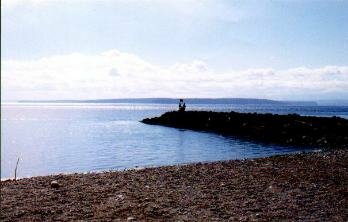 The Puget Sound is world class diving right in our back yard. And there are many ways to enjoy it! 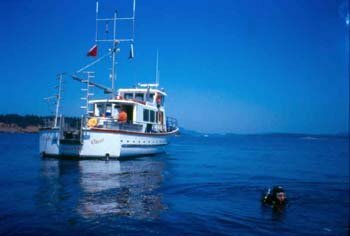 Boat diving is the easy way to get to great dive sites. We regulary go out for 2 or 3 tank dives with the Dive Boats below. Scuba dive Washington's beautiful San Juan Islands on the comfortable 42-foot Lu-Jac's Quest, operated out of Anacortes, Washington by Diver's Dream Charters, Inc. Skipper Phil Jensen and First Mate Judy Jensen welcome you with coffee, continental breakfast, and lunch for a day out diving. Click on Calendar for scheduled trips. Bandito Charters operates the Sampan and Island Diver out of Tacoma. 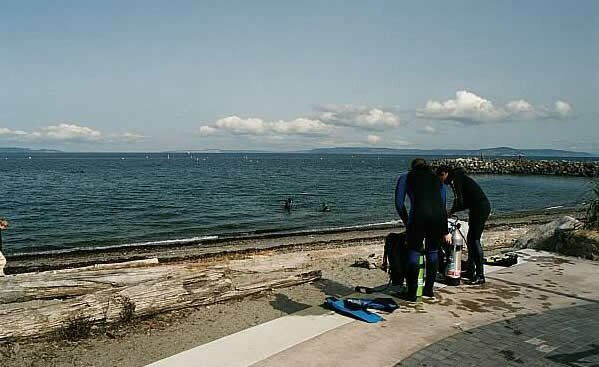 The Puget Sound offers a wide variety of shore diving options. We are up diving a few of these sites every month, and always have room for some more divers. Diving from the shore you can still see all of the marine life in the Puget Sound, from Pacific Giant Octopus and Wolf Eels, to huge Lingcod and beautiful Plumous Anemones. We offer Fun Dives along with every Advanced Scuba Diver open water trip. These weekends include 2-3 boat dives, along with 4 shore dives from our favorite locations.